Symptoms you may experience are often sharp or dull pain in the hip region and/or the groin region or radiating to or from the hip and/or groin. Associated symptoms may include an inability to bear weight on the hip, loss of movement in one or more directions, clicking, clunking or snapping with or without associated pain, swelling, tingling, numbness, and pins and needles. The hip can often refer pain to the knee, causing knee pain like symptoms and is more common than you would think. The lower back can also refer pain to the hip. Problems such as disc bulges and trigger points in the lower back are just two problems that may be causing your hip pain. Applying an Ice pack to the hip and groin region regularly, making sure you keep the joint moving, and applying weight to the leg when possible are just a few simple basic strategies to help with most hip pain. However, we recommend that you get your hip pain checked out by a Chiropractor at our clinic here in Omagh to help the problem and prevent the likelihood of the hip pain returning. 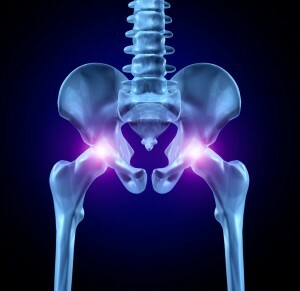 Our aim is to get your hip functioning as best possible as soon as possible using manipulation, soft tissue techniques, and a variety of progressed home and in clinic exercises and rehab plans. The Iliotibial band (aka I.T. Band) is layer of strong and fibrous connective tissue (fascia) that runs from the hip-down the outside of the thigh-to a point just below the knee. The band functions in coordination with the quadriceps to stabilize the knee. With overuse or injury, the connective tissue becomes inflamed and painful resulting in Iliotibial band friction syndrome (ITBFS). Runners, dancers, cyclists and other athletes who engage in repetitive exercise are prone to developing this syndrome. The pain can be located anywhere along the lateral aspect (outside) of the thigh. Generally, the pain increases with increasing activity and is worse when running down hill or traveling down stairs. In some people the pain is constant, but typically the pain is felt with movement. Runners, dancers, cyclists and other athletes who engage in repetitive exercise are prone to developing this syndrome. Iliotibial band syndrome is generally diagnosed by history and physical exam. Your chiropractor will ask you questions like what makes it worse, what makes it better, how/when it began, and what it feels like. An exam will be performed that will consist of orthopedic tests designed to provoke the pain. The chiropractor will use his/her hands to palpate for abnormalities along the outside of your thigh. Your chiropractor may also provide a biomechanical assessment (watching you in action) to establish if there are any abnormalities of gait and movement. Rarely, further testing such as an x-ray or MRI will be ordered. What Are the Options for Iliotibial Band Syndrome? Iliotibial band syndrome is commonly seen at Omagh Chiropractic. You may experience relief with the conservative treatments rendered by our chiropractor. For this condition, treatments such as Spinal/Pelvic and extremity manipulations, myofascial release, strengthening exercises, and stretching are safe and effective. Our chiropractors may also recommend RICE (rest, ice, elevation, compression), reduced training, and changes in footwear. Don’t let pain prevent you from the activities you enjoy. Contact Omagh Chiropractic to schedule your first appointment and get on the road to recovery. 1. Iliotibial band friction syndrome–a systematic review. Ellis R, Hing W, Reid D. Man Ther. 2007 Aug;12(3):200-8. Epub 2007 Jan 8. Review. Treatment of an individual with piriformis syndrome focusing on hip muscle strengthening and movement reeducation: a case report. Tonley JC, Yun SM, Kochevar RJ, Dye JA, Farrokhi S, Powers CM. J Orthop Sports Phys Ther. 2010 Feb;40(2):1. 2. Practical management of iliotibial band friction syndrome in runners. Fredericson M, Weir A. Clin J Sport Med. 2006 May;16(3):261-8. 3. Relief of internal snapping hip syndrome in a marathon runner after chiropractic treatment. Konczak CR, Ames R. J Manipulative Physiol Ther. 2005 Jan;28(1):e1-7. A small muscle located deep in the buttock, the piriformis is prone to spasm with overuse or injury. The sciatic nerve runs closely to the piriformis and in some cases, actually pierces the muscle. When the muscle is overused or injured it may cause compression or irritation of the sciatic nerve resulting in pain or tingling that radiates down the leg. This is often referred to as sciatica. Not every person with piriformis syndrome experiences sciatica; sometimes the only symptom is pain in the buttock. There are a few different causes of piriformis syndrome. Muscle imbalance, falling on the buttocks, sitting for long periods (especially with a wallet in the back pocket), and activities that result in overuse of the muscle such as running are all established causes of the syndrome. Piriformis syndrome is commonly seen by the chiropractor at Omagh Chiropractic. Piriformis Syndrome is generally diagnosed by history and physical exam. Your chiropractor will ask you questions like what makes it worse, what makes it better, how/when it began, and what it feels like. An exam will be performed that will consist of orthopedic and neurologic tests to determine the cause of the pain. If your pain is related to activity, your chiropractor may also provide a biomechanical assessment (watching you in action) to establish if there are any abnormalities of gait and movement. In some cases, further testing such as an x-ray or MRI will be ordered. Although piriformis syndrome cannot be seen on an x-ray or MRI, these types of tests may be helpful in ruling out other conditions. What Are the Options for Piriformis Syndrome? Piriformis syndrome is commonly seen at Omagh Chiropractic. You may experience relief with the conservative approaches rendered by our chiropractor. For this condition: Spinal/Pelvic and extremity manipulations, myofascial release , strengthening exercise, muscle energy techniques, stretching and application of heat and or Ice are safe and effective. 1. Piriformis syndrome, diagnosis and treatment. Kirschner JS, Foye PM, Cole JL. Muscle Nerve. 2009 Jul;40(1):10-8. Review. 2. Treatment of an individual with piriformis syndrome focusing on hip muscle strengthening and movement reeducation: a case report. Tonley JC, Yun SM, Kochevar RJ, Dye JA, Farrokhi S, Powers CM. J Orthop Sports Phys Ther. 2010 Feb;40(2):1. 3. Diagnosis and management of posttraumatic piriformis syndrome: a case study. Mayrand N, Fortin J, Descarreaux M, Normand MC. A hamstring strain (otherwise known as “pulled hamstring”) is an injury to the one or more of the muscles that are collectively known as the hamstrings. The semitendinosus, semimembranosus, and biceps femoris (long and short heads) are located at the back of the thigh. These muscles work together to flex the knee and extend the hip. 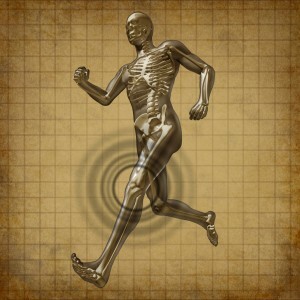 The muscles are commonly strained, stretched or torn while running (especially sprinting) and jumping. Certain athletic endeavors that involve bursts of activity such as football, basketball, dance, track, soccer, field hockey, and baseball are more likely to result in this type of injury. Injuries may be acute (sudden onset), or they may be chronic (especially seen in distance runner who consistently stress the area). This type of injury may result in mild pain and limited disability or may cause severe pain and debilitation. Unfortunately, these types of injuries heal slowly and athletes are prone to re-injury without the appropriate treatment. Proper warm-up, stretching and conditioning of the muscles may prevent the injury. The chiropractor at Omagh Chiropractic provides strategies for optimum athletic performance that will speed recovery and prevent recurrence. Hamstring strains are classified by a grading system. A grade of 1 means there are micro-tears that have occurred within the muscle which cause pain and tightness in the back of the thigh. Generally there is little visual evidence of the injury (swelling, bruising, or redness). Grade 2 injuries are characterized by a loss of muscle strength against resistance due to a partial tear. Swelling, stiffness, decreased range of motion, and bruising are often present. With a grade 3 injury, there is a complete tear of muscle fibers which causes a great deal of pain and complete weakness. Inability to walk, discoloration, bruising and a bulge of muscle (where the tear occurred) are characteristic of grade 3. Generally, hamstring strains are diagnosed by history and physical examination. The chiropractor Omagh will ask you questions about the mechanism of your injury and perform orthopedic tests to evaluate the condition. In certain cases an MRI or other tests will be ordered to determine the extent of the injury. What Are the Options for Hamstring Strain? Hamstring strains are commonly seen at Omagh Chiropractic. Depending on the extent of the injury, you will be provided with a plan that will include Spinal/Pelvic and extremity manipulations, myofascial release and therapeutic exercise. Many active patients have reaped the benefits of chiropractic care. Schedule your appointment with one of our chiropractors and ride, run, dance, skate or ski your way to the top. 1. Hamstring strain injuries: recommendations for diagnosis, rehabilitation, and injury prevention. Heiderscheit BC, Sherry MA, Silder A, Chumanov ES, Thelen DG.J Orthop Sports Phys Ther. 2010 Feb;40(2):67-81. 3. The effects of active release technique on hamstring flexibility: a pilot study. George JW, Tunstall AC, Tepe RE, Skaggs CD. J Manipulative Physiol Ther. 2006 Mar-Apr;29(3):224-7. Knee pain can occur for many reasons and many factors play a role in what may be felt as knee pain and what may be the cause. Injuries can develop as a result of a one off incident, or may be a result of a problem that has been building up for a long time. Problems that have built up over time usually take longer to correct as there are usually many factors involved. Different sports and activities can cause different types of knee pain. Symptoms you may be experiencing with knee pain are pain in or around the knee joint, or pain radiating toward or from the knee joint. Associated symptoms may be popping, clicking, locking, giving way, swelling, inflammation and stiffness. Knee pain may also be coming from a different region – the lower back, hip and pelvis can all refer pain to this region. The Chiropractor in our clinic here in Omagh will be able to determine the cause with regard your knee pain. As chiropractors we take a comprehensive medical history and perform a thorough physical and biomechanical examination in order to make an accurate diagnosis – without an accurate diagnosis, the treatment will not be successful. Our approach of assessing and treating the knee includes the evaluation of the other joints and muscles relating to the knee. Secondly, if other joints in the lower limb are not working correctly they can put increased stress on the knee joint, resulting in injury over time. Therefore to resolve the knee pain chiropractors may also look at other areas, to maximise long-term improvement. Stage 3: Rehabilitation exercise programme. When appropriate we introduce exercises to improve strength, endurance and stability. We also work on improving your balance and your sense of joint position (proprioception). This will help you to return to normal and also prevent new injuries. “Shin Splints” is commonly used as a general term to describe pain in the lower leg. That being said, there are several causes of shin pain (stress fractures, compartment syndrome) that may not be related to shin splints. Otherwise known as Medial Tibial Stress Syndrome (MTSS), shin splints are caused when the connective tissue that attaches the muscle to bone (tibia) is overused or used incorrectly. The area becomes inflamed which contributes to pain, tenderness and in some cases swelling that is located on the inner part of the front of your leg (shin). In some cases the symptoms are only present with exercise or activity; in others, pain is constant. Runners are especially prone to this condition. Exercising on hard surfaces, improper foot wear, uphill/downhill running, and over-training often contribute to the onset. In some cases the way you run may also increase your chances of getting shin splints. Shin splints are generally diagnosed by history and physical exam. Your chiropractor will ask you questions like what makes it worse, what makes it better, how/when it began, and what it feels like. An exam will be performed that will consist of orthopedic and in some cases neurologic tests to determine the cause of the pain. Your chiropractor may also provide a biomechanical assessment (watching you in action) to establish if there are any abnormalities of gait and movement. In some cases, further testing such as an X-ray, bone scan or MRI will be ordered. What Are the Options for Shin Splints? Shin splints are commonly evaluated and seen at Omagh Chiropractic. Some cases will require only minimal intervention and may be managed at home with ice massage, changes in foot wear, arch support, rest, elevation. Other cases require rehabilitative exercises. The chiropractor at Omagh Chiropractic is trained to provide high quality and individualised care that will get you out of pain and improve your performance. Many active patients have reaped the benefits of chiropractic care. Schedule your appointment with one of our chiropractors and ride, run, dance, skate or ski your way to the top. 1. Tibial stress injuries: decisive diagnosis and treatment of ‘shin splints’. Couture CJ, Karlson KA.Phys Sportsmed. 2002 Jun;30(6):29-36. 2. Medial tibial stress syndrome: conservative treatment options. Galbraith RM, Lavallee ME. Curr Rev Musculoskelet Med. 2009 Oct 7. The effects of active release technique on hamstring flexibility: a pilot study. George JW, Tunstall AC, Tepe RE, Skaggs CD. J Manipulative Physiol Ther. 2006 Mar-Apr;29(3):224-7.